This is one of the most colorful region of the Summer night sky in the Northern Hemisphere. 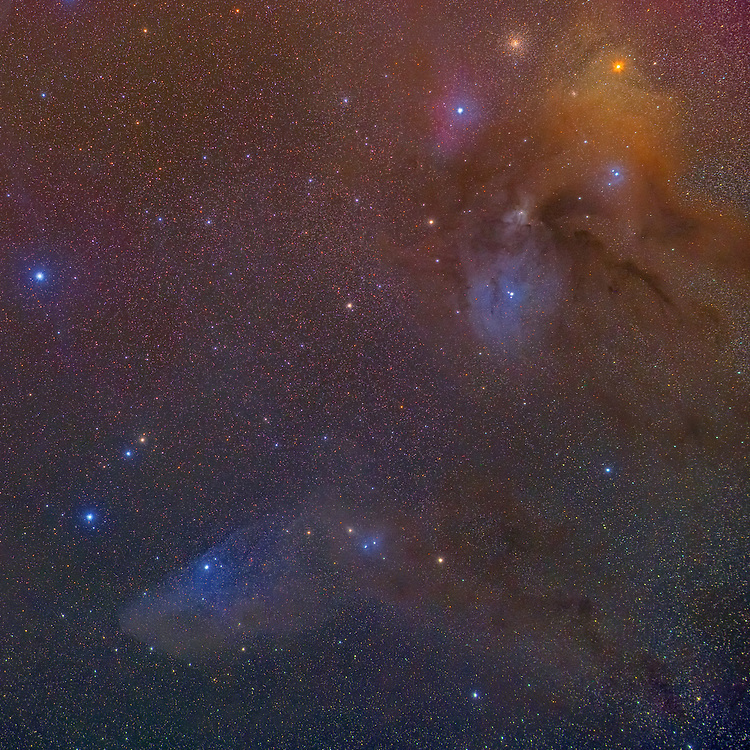 The goal of this image is to compose an image that features the blue horse head nebula (IC4592) and the rho-Ophiuchus' dark river together. The blue horse head nebula is a reflection nebula that is pretty much lit by the star that resembles the eye of the horse which is the nu-Scorpii also known as Jabbah. Trailing the blue horse head nebula is another reflection nebula catalogued as IC4601. It is lit by the two stars just to the right of the horse's head.